Welcome to the website of the Pannasiha, Lion of Wisdom Meditation Center. 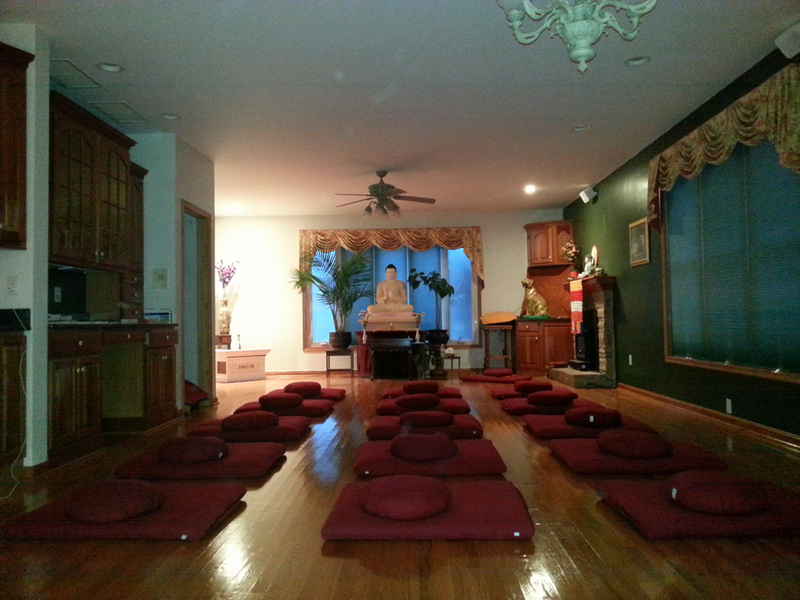 This rural meditation retreat facility is a branch of the Washington Buddhist Vihara. 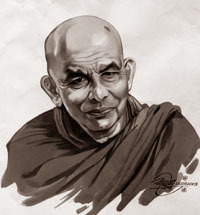 It is the fulfillment of the long-held dream of Bhante Maharagama Dhammasiri to honor his beloved teacher, the late Ven. Madihe Pannasiha Mahanayaka Thera. 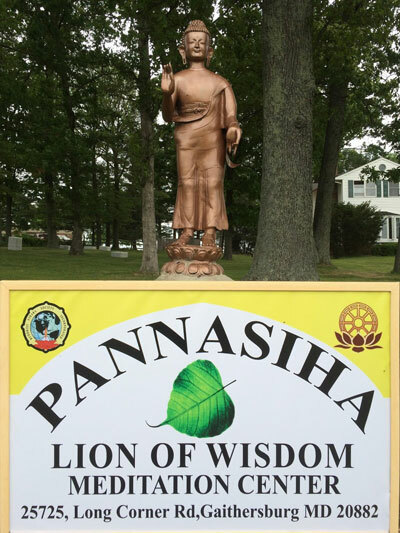 Lion of wisdom is the translation of the pali word pannasiha. Panna means wisdom and siha is a lion. The lion is the fearless king of animals, while Wisdom is the fearless king of the mind. It is the purpose of this center to be a refuge from the hustle and bustle of city life and provide access to the slower nature vibrations of the rural countryside conducive to mindfulness meditation practice. There has long been a need for a meditation retreat center not too far from the tri-state metropolitan areas of Washington, Maryland and Northern Virginia. The director and principle teacher of this center is the well known Bhante Yogavacara Rahula, an American born Buddhist monk. Three types of meditation sessions/retreats are currently being offered here at the Pannasiha/ Lion of Wisdom Meditation Center. These typically are held on one or two Saturdays per month. They begin at 9 am and finish at 4.30 pm; they are geared towards relative beginners with some light yoga stretches, instruction/guided meditation and a Dhamma talk. More experienced meditators are also welcome. Bring a bag lunch or veg. pot luck dish to share. These are held on the Saturdays or Sundays inbetween the DOMs from 1pm-4.30pm. They are geared for experienced practioners who do not need any instructions or guidance. People can sit or walk as long as they like with no bells. Tea is available and interviews with Bhante Rahula may be available. Two or three day retreats. These will usually begin with a DOM on Saturday and continue until 4pm the next day or an additional day. People must register for staying overnight as dorm type sleeping accomodation is limited. People living nearby have option to go home in evening and come back next morning. For the first day bring a bag lunch or pot luck veg. dish to share; subsequent days breakfast and lunch will be provided. People are expected to observe the monastic rule of not eating solid food afternoon; No evening meals will be served. However, persons with medical need can bring there own snack supplement. No cooking is allowed but a microwave may be available to warm up soup etc. People should inform us of this need. There is no charge for any of these programs but donations are gratefully accepted, as this center exists solely on donations to support this service. THREE DAY RETREAT FROM FRIDAY APRIL 19TH 6 PM UNTIL SUNDAY APRIL 21ST. People wishing to stay overnightshould send us an e-mail to secure a bed. Bring a sleeping bag or bedding and a yoga mat if you have one. Note: Bhante Rahula will be away from LOW from May 2nd until May 21st.